Please join us in congratulating Marine Peclet from France, the winner of our photo contest. 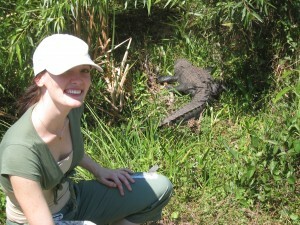 In the photo Marine is shown in Everglades National Park. As winner of the contest Marine will receive a check from InterExchange for $25. Thanks to everyone who submitted photos!